This was the first Wild Card game and it was a matchup between two division foes. The Texans barely finished above the Colts this year and secured home field advantage for this game. This was a very interesting game because the Colts surprised a lot of people this year with Andrew Luck being back. This was pretty much considered a game that could go either way because of how equal these two teams were. That was not the case though as the Colts pretty much handled the Texans. A lot of the blame for the Texans loss has fallen on Watson and the Texans offense who didn’t seem to show up. They’ve been electric all year but maybe some first year playoff jitters got to Deshaun Watson and caused him to play so poorly. Andrew Luck and the Colts will be taking on the Chiefs at Arrowhead Stadium this weekend. Both of these teams coming into this game were very hot and starting to click as a unit. This was another one of those games where both teams had a good chance to win. They are also very similar, they both have very good defenses and with average offenses. This was one of the more entertaining games to watch this weekend as the final score was 24-22 Dallas. With teams this similar it was no surprise that this game came down to the wire. Dak Prescott secured the game for the Cowboys by making an incredible 16-yard TD scramble with about 2 minutes remaining in the game. The Cowboys will be squaring up with the #2 Rams this week out on the west coast. All season season long the Chargers have been one of the league’s best teams. The Ravens on the other hand barely snuck in thanks to the Steelers’ late season collapse. The Ravens still managed to get home field advantage for this game though because they won their division. Unfortunately for the Chargers the Chiefs were also in their division and had the AFC’s best record. The Chargers ended up winning this game 23-17 and were ahead for pretty much the whole game. Lamar Jackson didn’t play as good as he could’ve but this is another case of a young quarterbacks first experience in the playoffs. The Chargers will continue on their Super Bowl journey but will have to win at least two more road games. 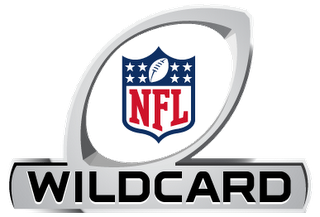 The Bears and Eagles were the final wild card game of the weekend. The Bears came into this game on fire winning 9 of their last 10. Unfortunately for them them the defending champs were also starting to heat up winning 5 of their last 6. The week before the Eagles needed the Bears to beat the Vikings for them to make the playoffs. The Eagles ended up making the Bears pay for that because they ended up winning 16-15. Nick Foles threw the go-ahead touchdown with about 2 minutes left. Mitch Trubisky did lead his team into field goal range, but Bears kicker Cody Parkey was bad all season. His kick ended up hitting the post and the cross bar and bounced out. No one was really picking the Eagles to win this game, but they proved everyone wrong. Philly is looking to embrace the underdog role again and make another Super Bowl run. They’ll have their most difficult game of the season this weekend as they will be traveling to New Orleans to play the Saints.